Take A Stand™: Use Standing Orders to Improve Adult Immunization Rates is a unique national program from the Immunization Action Coalition (IAC), supported by a sponsorship from Pfizer. The initiative aims to improve national adult immunization rates by increasing the use of standing orders in medical practices. 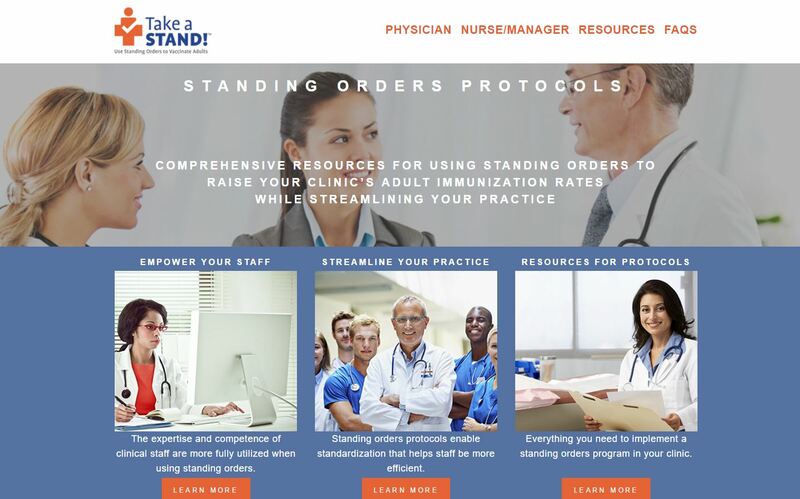 IAC relies on Maje Media for hosting management and maintenance, so when they needed a new website to support the Take a Stand initiative they knew they could count on us. 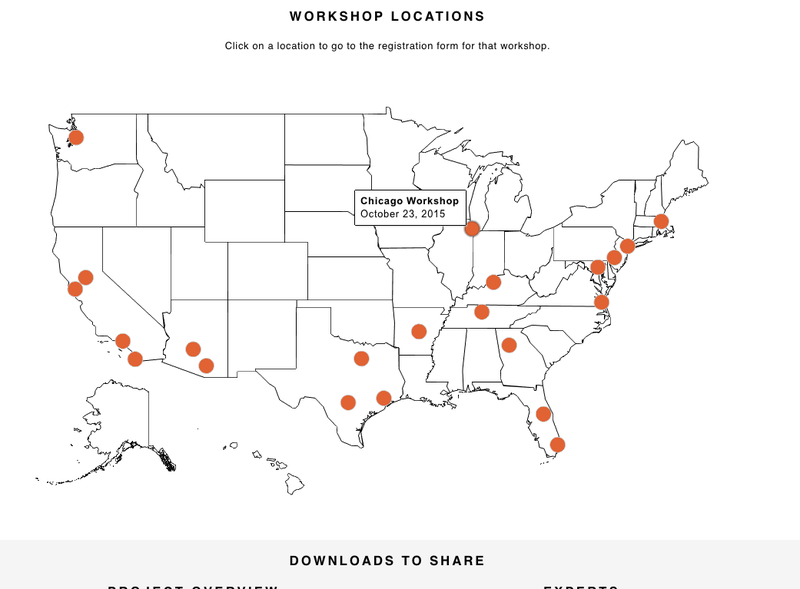 The new website needed to handle registration for attendees at 22 nation-wide workshops and to provide information about each workshop, including slides, handouts, and other resources. 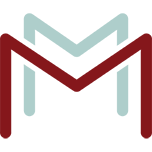 Maje Media worked with IAC and designer And One Studios to develop a website using WordPress with custom development to meet their needs. As each workshop ended, we helped post new content for attendees to keep the site up-to-date. Now that the workshops are complete, IAC has requested an update to the look and feel of the site, as well as the development of some eLearning capabilities that will include user registration, videos, slide decks, and data collection for continuous improvement.